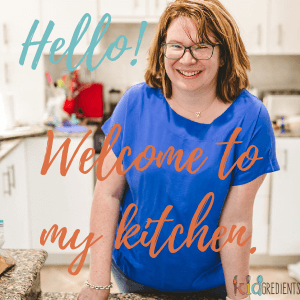 You are here: Home / Recipes / Lunchbox / Baked pancake bites (gluten free option) refined sugar free! So, I’ve seen a lot of people making puffins- a combo of pancakes and muffins. They basically use a pancake or pikelet mix and make these super easily in the oven and I thought I’d give it a go, but without the mix. So these baked pancake bites are the result. The ones in the video below are gluten free, because I know a lot of my readers are. If you aren’t just use normal plain flour! Now…why bother making pikelets or pancakes like this? I really don’t like standing at the stove making pancakes and pikelets, especially when it’s hot or when I’ve decided to make them for breakfast. The easiest option is to bung them into a silicone muffin tray and cook them in the oven. I also don’t buy pancake mix, so this is my easy pikelet mix that I use, rather than the store bought version with a rather extensive ingredients list. The ones in the video are with strawberries, but I want you to understand…you can top these with anything. You really just need 1/2 a cup of whatever you want to put on top, be it strawberries (healthy me), bananas (healthy me), choc chips (selfish me who is making those ones for myself), some other suggestions: frozen blueberries, sultanas, dried cranberries, coconut flakes, nuts (if not going to school). If you want to make these dairy free, switch out the milk for rice milk or even coconut milk. Don’t expect these to rise, they are officially baked pikelets or pancakes, and they have no rising agents added, so they aren’t going to turn into muffins, in fact underneath they may end up a little concave. 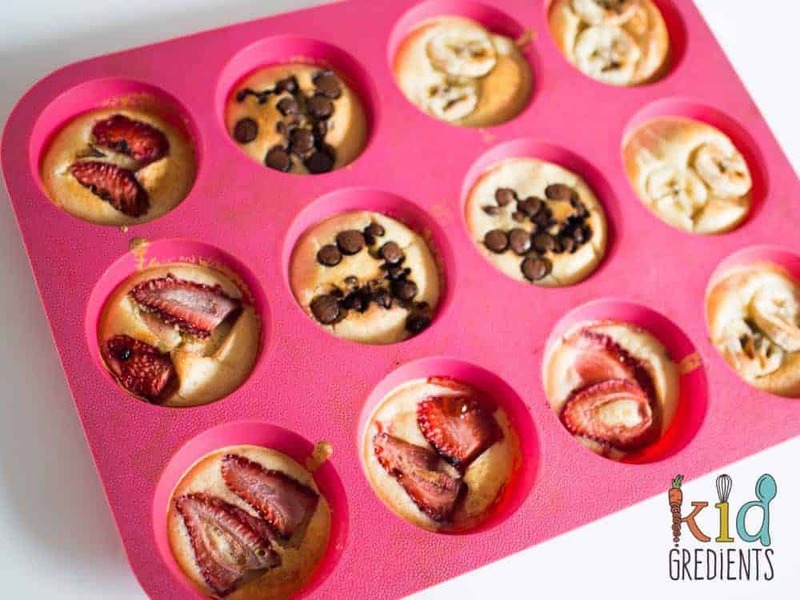 Freezer friendly, these baked pancake bites are perfect to double batch and freeze making sure you’ve always got something yummy to pop into the lunchbox. 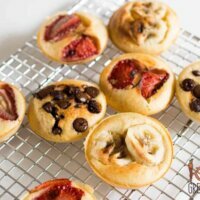 The best part about these- you don’t have to do the whole batch the same- just use whatever you’ve got for toppings, they all cook in the same amount of time! So if like me, 20 minutes flipping pikelets on the stove sounds like way too much work, these will become your best friends! 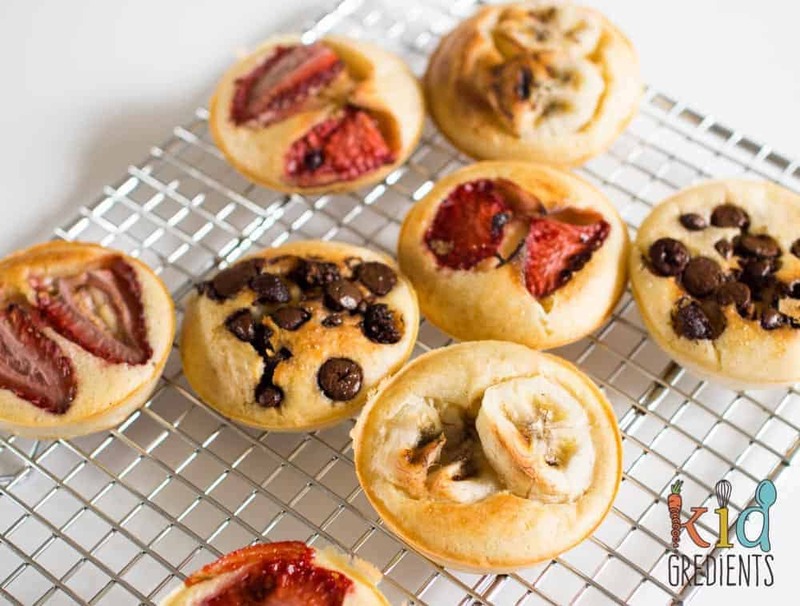 These yummy pancake bites are perfect for lunches and contain no refined sugar! 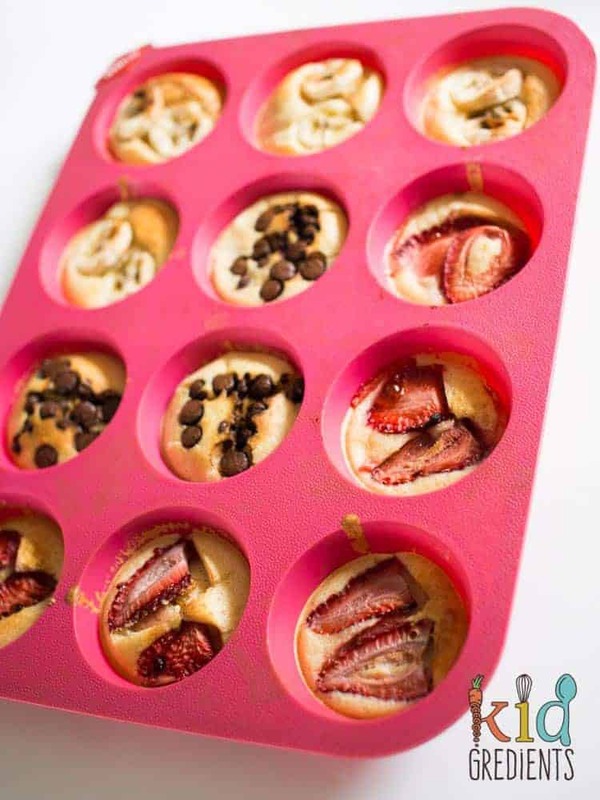 toppings: about 1/2 a cup of strawberries, or blueberries, or banana slices, or choc chips choose what your kids will love! Preheat oven to 180C/355F degrees. Put the egg, milk, flour and vanilla in a jug and whisk. 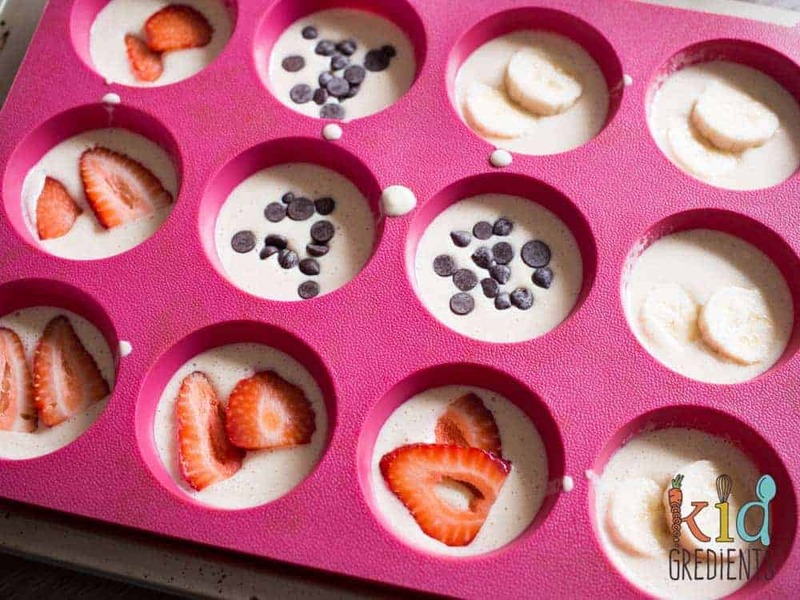 Pour/ spoon into muffin tray. Bake at 180 degrees (355F) for 15 minutes or until golden. Remove from the pan, serve. Or freeze for lunchboxes. Looks great! Can i substitute the vanille bean with some other version of vanilla? Yes, extract would be your best bet! Mine turned out rubbery I don’t have the silicon tray just a normal muffin tray – could that be the reason ?? It probably isn’t, you might have over mixed or over baked. Yum! Yes, I’ve done them like that too! So easy!